A surfer on the Gold Coast. An iconic global image of Australian tourism focuses on its beaches, which are an integral part of the Australian identity. Driving on the Lasseter Highway near the Uluru-Kata Tjuta National Park in the Northern Territory. The Whitsunday Islands in Queensland. Tourism in Australia is an important component of the Australian economy. In the financial year 2014/15, tourism represented 3.0% of Australia's GDP contributing A$47.5 billion to the national economy. Domestic tourism is a significant part of the tourism industry, representing 73% of the total direct tourism GDP. In calendar year 2015, there were 7.4 million visitor arrivals. Tourism employed 580,800 people in Australia in 2014-15, 5% of the workforce. About 43.7% of persons employed in tourism were part-time. Tourism also contributed 8.0% of Australia's total export earnings in 2010-11. Popular Australian destinations include the coastal cities of Sydney, Brisbane and Melbourne, as well as other high-profile destinations including regional Queensland, the Gold Coast and the Great Barrier Reef, the world's largest reef. Uluru and the Australian outback are other popular locations, as is the Tasmanian wilderness. The unique Australian wildlife is also another significant point of interest in the country's tourism. Despite the global economic challenges and natural disasters in 2010-2011, Australia's tourism growth was supported by increased consumption (up 4.4% over the previous year, largely due to an increase in the number of visitors from overseas). On the back of a strong Australian dollar, 2010-11 also saw a record 7.4 million short-term resident departures from Australia, an increase of 9.9% from 2009-10. Domestic tourism consumption grew at less than half the pace of international consumption in 2010-11 (up 2.1% compared to 4.4%). The Australian Government released the 2020 Tourism Industry Potential on 15 November 2010, and estimates the Australian tourism industry to be worth up to $140 billion in overnight expenditure. This growth will largely be due to key emerging markets, including the China market, which is estimated to be the largest economic contributor to the Australian tourism industry by 2020. The number of Chinese visitors has more than doubled from 2006 to 2012 reaching a peak of 626,400 in 2012 and surpassing for the first time the number of arrivals from the United Kingdom. In 2013, China was Australia's fastest growing tourist market. According to Tourism Australia Managing Director Andrew McEvoy, the Chinese are the highest spending visitors to the country. All visitors to Australia, apart from New Zealanders, require advance permission to enter the country. For most countries, a full visa is required. Holders of passports of all European Union countries as well as all Schengen Area countries and European microstates only need to apply online for an eVisitor authorisation. Citizens of some OECD and some East Asian countries are able to apply for the similar Electronic Travel Authority authorisation. From colonial days the idea of travel has been more natural to Australians than to people long established at one from their homes, were prone to continue their search for wealth or security for a while, or, having settled down, to return to the old countries to visit their kin and refresh old memories. The opening of new lands, the establishment of industries and towns and the consequent dispersal of people over Australia created a habit of mobility and enterprise which encouraged Australians to face the hardships of early travel by coach, on horseback or by ship. Even so, the slow and uncomfortable modes of travel and the vast distances separating Australian towns tended to restrict travel to essential journeys for purposes of trade, to pursue an occupation or to settle. This changed somewhat with the advent of rail travel. The initial emphasis in tourism for purposes of pleasure was strongest on travel to resorts near the main population centres. 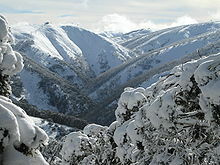 These included the Blue Mountains in New South Wales and the hill and coast resorts close to Melbourne and other major Victorian cities. The existing railway services radiating from those cities, together with the 'feeder' horse-drawn, and later motor, coach transport connecting with the railways, rendered the State Government railway tourist bureaux the main means for selling intrastate, and even some interstate, travel. After the 1914-18 War in the 1920s, and again after the easing of the effects of the Great Depression of the 1930s, travel for all purposes increased steadily. This period saw the establishment of the Australian National Travel Association with bureaux in the UK and USA. The organisation received government funding on top of industry contributions and promoted the country 'vigorously' via a poster campaign, and from 1934–1974 via Walkabout magazine. From August 1946, Walkabout also doubled as the official journal of the newly formed Australian Geographical Society (AGS), founded with a ₤5,000 grant from ANTA, its banner subscript reading 'Journal of the Australian Geographical Society'. This role is now filled by Australian Geographic magazine. Later it became ‘Australia's Way of Life Magazine’ when supported by the Australian National Publicity Association and later the Australian Tourist Commission. Traffic in tourism continued to be mainly by rail, but also by sea, although the family motor era began in the 1930s to participate in the shorterintrastate traffic. A considerable fleet of passenger ships provided frequent and popular services linking most ports between Fremantle and Cairns. Other services linked Sydney and Melbourne with Tasmanian ports. The winter cruise of those days to Queensland ports could be regarded as the equivalent of today's drive or flight north for a winter holiday at the Gold Coast or a Barrier Reef Island, or today's shorter South Pacific cruises. The first cruises from Australia to New Zealand were organised in the summer of 1934-35, and Australians were travelling to Britain for as low as $78 in tourist class in the years immediately preceding the 1939-45 War. In the period following the 1939-45 War the advent of new and improved methods of transportation, combined with rising standards of living and the energetic publicising of foreign destinations, developed international travel into a mass-movement. New ocean liners shortened travelling time considerably, and travel by car and bus increased in many countries. Most of all, air travel became widely available, faster, safer, and cheaper. The beginning of the jet age in 1960, with larger aeroplanes carrying more than 100 passengers at speeds approximating 600 miles per hour, diminished the world by half in terms of time. Rising standards of living in the post-war period led to greater expenditure on tourism, thus making it more important to the national economy. Australia has shared in this worldwide expansion of travel, particularly in respect of its domestic tourism. Because of the marked increase in incomes and private car ownership among large sections of the population, greater leisure time, three weeks paid annual holidays (introduced first in New South Wales in 1958) and the introduction of long-service leave, thousands of Australians now travel by road into almost every part of the Commonwealth. This has led to investment in the development of new and improved facilities, especially accommodation, of new resorts at dispersed points around Australia, and to modifications in organisation and methods of tourist administration, development and promotion. These activities in turn have had an important influence on matters such as the improvement of highways and the opening up of national parks and foreshores. A recent consequence is the first detailed study and survey of the entire Australian tourist industry, its development and its future potential. A White Paper was produced analysing the tourist industry in Australia in 2003. Australia's international tourism campaigns have focused on Australia's laid back style, such as a 1980s advertising campaign featuring actor Paul Hogan telling American tourists "I'll slip an extra shrimp on the barbie for you", or its cheeky side, as in its controversial 2006 campaign in the United Kingdom using the Australian colloquialism slogan "So where the bloody hell are you?". Tourism Australia's "No Leave No Life" campaign was launched in March 2009 by the Federal Minister for Tourism, the Hon. Martin Ferguson AM MP. This campaign was designed to remind employees of the personal and professional benefits of taking annual leave, and of taking that leave in Australia. At 30 June 2009 there were 126 million days of stockpiled annual leave in the Australian economy. At the end of the June 2010 quarter, this number had decreased to 117 million days, following falls in the preceding three quarters. Tourism Australia's latest consumer campaign "There's Nothing Like Australia" invites Australians to share their favourite Australian place or experience with the world. The campaign is based on research conducted by Tourism Australia that showed Australians were eager to get involved in promoting their country. It was developed to involve Australians because they are the experts on what makes Australia unlike anywhere else. The core message, that "There's Nothing Like Australia" was designed for longevity through different mediums, audiences and activities. Monthly visitor departures, by state where they spent the most time, since 1991. New South Wales, Queensland, and Victoria are the top three states for visitor numbers. New Zealand tourists make up a distinctive part of the Australian tourism market, usually taking short package tours which concentrate heavily on the iconic sights (typically Sydney, Uluru, Gold Coast and Cairns), and viewing Australian native animals (particularly the koala and kangaroo). Another major source of tourists to Australia include backpackers, mostly young people from Western European countries (particularly Britain). Spending more time in Australia, these travelers tend to explore considerably more of the country. Many backpackers participate in working holidays enabling them to stay longer in the country. Working holiday visas for Australia are available for those aged 18 to 30 for most Western European citizens, and also citizens of Canada and some developed East Asian nations such as Hong Kong, Taiwan, Japan and South Korea. The domestic tourism market is estimated at $63 billion. In 2009, the Australian domestic market experienced a 10% slump in the number of visitor nights. Domestic tourism in general and in particular free caravan and camping sites for overnight accommodation experienced strong demand in 2012. Australians are big domestic travellers, with a profusion of seaside resort towns in every state (many located on or near good surfing beaches), mountain retreats, plentiful national parks, rivers, fishing locations, wine growing regions, as well as domestic visitation of the major tourist spots. Domestic tourism peaks during the Australian school holidays. In 2011, a leading Australian travel agent warned that low-cost carriers such as AirAsia and Jetstar who offered cheap packages to Asia threatened the domestic tourism market. Australia (Domestic) For the year ended 31 December 2009, the total economic value of domestic tourism measured $63.3 billion, with 66.1 million overnight trips taken in Australia by Australian residents aged 15 years and over. United States of America There was $2.126 billion in total expenditure from the United States in 2010. The tourism industry potential estimates that the United States market has the potential to grow to between $4.530 billion and $5.519 billion in total expenditure by 2020. Canada Canada was Australia's twelfth largest inbound market for total expenditure in 2010, with $700 million spent on trips to Australia. Argentina Argentina is one of Tourism Australia's developing markets. Arrivals to Australia from Argentina continue to perform well, with visiting friends and relatives, holiday and education segments reporting good growth from a small base. Brazil 46,400 tourists from Brazil visited Australia in 2014-2015, an increase in 19% from the year prior. China There was $3.26 billion in total expenditure from the China market in 2010. The tourism industry potential estimates that China has the potential to grow to between $7.406 billion and $9.022 billion in total expenditure by 2020. India There was $0.826 billion in total expenditure from the India market in 2010. The tourism industry potential estimates that India has the potential to grow to between $1.854 billion and $2.258 billion in total expenditure by 2020. Hong Kong Hong Kong was Australia's eleventh largest inbound market for total expenditure in 2010, with $0.808 billion spent on trips to Australia. Indonesia Indonesia was Australia's thirteenth largest inbound market for total expenditure in 2010, with $0.608 billion spent on trips to Australia. South Korea There was $1.279 billion in total expenditure from South Korea in 2010. The tourism industry potential estimates that the South Korea market has the potential to grow to between $2.792 billion and $3.401 billion in total expenditure by 2020. Malaysia There was $1.047 billion in total expenditure from Malaysia in 2010. The tourism industry potential estimates that the Malaysia market has the potential to grow to between $2.046 billion and $2.492 billion in total expenditure by 2020. Taiwan Tourists from Taiwan increased to 121,400 in the year ending April 2015, an increase of 9.1% from the previous year. The total inbound economic value of the Taiwan market increased by 21 per cent to $398 million. Singapore There was $1.199 billion in total expenditure from Singapore in 2010. The tourism industry potential estimates that the Singapore market has the potential to grow to between $2.266 billion and $2.760 billion in total expenditure by 2020. Thailand Thailand is ranked 15th among Australia's source markets in terms of arrivals. Australia received a total of 77,500 visitors from Thailand in 2008/09, a decrease of 8 per cent compared to the previous year. Vietnam There were 37,246 arrivals from Vietnam in calendar year 2010, an increase of seven per cent on the previous year. United Kingdom There was $3.184 billion in total expenditure from the United Kingdom in 2010. The tourism industry potential estimates that the United Kingdom market has the potential to grow to between $5.479 billion and $6.675 billion in total expenditure by 2020. Netherlands The total inbound economic value of the Netherlands market was $300 million in 2008/09 which was a three per cent increase on the previous year. Germany There was $0.910 billion in total expenditure from Germany in 2010. The tourism industry potential estimates that Germany has the potential to grow to between $1.902 billion and $2.316 billion in total expenditure by 2020. Switzerland Australia received a total of 53,600 visitors from Switzerland in 2014/2015. The total inbound economic value was $270 million which was one per cent less than the previous year. France There was $0.561 billion in total expenditure from France in 2010. The tourism industry potential estimates that the France market has the potential to grow to between $1.153 billion and $1.405 billion in total expenditure by 2020. Nordic The total inbound economic value of the Nordic market increased by 5 per cent during 2008/2009 and was valued at $506 million. Australia received a total of 58,700 visitors from the Nordic region in 2008/09. Ireland Australia received a total of 64,420 visitors from Ireland in 2008/09, a decrease of 1 per cent compared to the previous year. The total inbound economic value increased 3 per cent to A$479 million in 2008/09. Spain Despite a strong increase in October visitor arrivals, total arrivals year to date (YTD) continue to be well below last year and Spain continues to be one of the hardest hit European markets. Italy There were 73,200 visitor arrivals from Italy in 2014-2015. Hervey Bay is a popular tourist town with ample opportunities for whale watching, although there are plenty of other places along the Australian coastline to see whales. Fraser Island (K'gari) The island is considered to be the largest sand island in the world at 1840 km2. It is also Queensland's largest island. Fraser Island has been inhabited by humans for as much as 5,000 years.The island has rainforests, eucalyptus woodland, mangrove forests, wallum and peat swamps, sand dunes and coastal heaths. The island can be reached by a ferry from River Heads (South of Hervey Bay) to Kingfisher Bay and Wanggoolba Creek or Inskip Point to north of Rainbow Beach to Hook Point, or by chartered flight from Maroochydore Airport. The Great Barrier Reef attracts up to two million visitors every year. Careful management, which includes permits for camping and all commercial marine tourism within the Great Barrier Reef Marine Park, has so far ensured that tourists have a very minimal impact on the reef. Uluru, Kakadu National Park and Fraser Island are major natural attractions. Uluru won the 2013 Qantas Australian Tourism Awards and was named Australia's best major tourist attraction. In December 2013, Greg Hunt, the Australian environment minister, approved a plan for dredging to create three shipping terminals as part of the construction of a coalport. According to corresponding approval documents, the process will create around 3 million cubic metres of dredged seabed that will be dumped within the Great Barrier Reef marine park area. Another attraction that appeals to many tourists is the Sydney Opera House. Shopping and casinos are a major drawcard for wealthy Chinese visitors. Wine, indigenous culture and nature tourism also generate travel in Australia. Major events attract a large number of tourists. The Sydney Gay and Lesbian Mardi Gras is an annual event that attractions thousands of international tourists. The 2000 Sydney Olympics resulted in significant inbound and domestic tourism to Sydney. During the games, Sydney hosted 362,000 domestic and 110,000 international visitors. In addition, up to 4 billion people watched the games worldwide. The 2003 Rugby World Cup attracted 65,000 international visitors to Australia. Schoolies Week is an annual celebration of Year 12 school leavers in late November, many of whom travel to the Gold Coast, where in 2011 they were expected to boost the economy by $60 million. ^ "The Beach". Australian Government: Culture Portal. Department of the Environment, Water, Heritage and the Arts, Commonwealth of Australia. 17 March 2008. Retrieved 13 January 2013. ^ a b c d Australian Bureau of Statistics. "Tourism Satellite Account 2014-15:Key Figures". ^ "Visitor Arrivals Data". Tourism Australia. Archived from the original on 2015-09-05. ^ "5249.0 - Australian National Accounts: Tourism Satellite Account, 2010-11". Australian Bureau of Statistics. ^ "Working with Tourism Australia GLOBAL MARKETING PROSPECTUS 2013/14" (PDF). ^ "2012 in Numbers: Australian Tourism Statistics". Car Hire Search. Retrieved 2013-02-23. ^ Nicole Chettle (4 June 2013). "Australia targets China for tourism boost". ABC News. Australian Broadcasting Corporation. Retrieved 6 July 2013. ^ Robert Upe (6 June 2013). "What rich Chinese tourists want - and where they're going to get it". The Sydney Morning Herald. Fairfax Media. Retrieved 6 July 2013. ^ Tourism White Paper: A Medium to Long Term Strategy for Tourism (PDF). Commonwealth of Australia. 2003. OCLC 223716418. Archived from the original (PDF) on 2006-03-29. ^ Annual Report 2008-2009 (PDF). Tourism Australia. p. 14. Retrieved 5 July 2013. ^ "Overseas Arrivals and Departures, Australia Dec 2010". Australian Bureau of Statistics. Retrieved 2011-12-02. ^ "Hamilton, Clive - Cashing In On Koalas" (PDF). Retrieved 2010-07-09. ^ "Visa Options - Working Holiday Makers - Visas & Immigration". Immi.gov.au. 2008-10-29. Retrieved 2010-07-09. ^ Louise Wallace (13 June 2012). "Tourism Australia's domestic tourism campaign". Travel Weekly. Retrieved 6 July 2013. ^ Stuart Innes (17 September 2009). "Domestic tourism drives". Adelaide Now. News Limited. Retrieved 6 July 2013. ^ "Growing Domestic Tourism". Media Release. Department of Resources, Energy and Tourism. 12 September 2012. Retrieved 6 July 2013. ^ Angela Saurine (16 December 2011). "Budget airlines slowly killing domestic tourism, expert warns". news.com.au. News Limited. Retrieved 6 July 2013. ^ "Tourism Australia Annual Report 2014/15" (PDF). Retrieved 27 February 2016. ^ a b "Outlook for the reef: Commercial tourism". Great Barrier Reef Marine Park Authority. Retrieved 9 November 2011. ^ Tony Burke (18 February 2013). "Uluru wins top tourism award". Media Release. Commonwealth of Australia. Retrieved 6 July 2013. ^ Oliver Milman (10 December 2013). "Greg Hunt approves dredging off Queensland to create huge coalport". The Guardian. Retrieved 18 December 2013. ^ Angela Saurine (8 December 2011). "Chinese tourists want casinos, not koalas, international experts say". news.com.au. News Limited. Retrieved 6 July 2013. ^ "World's best festivals: Sydney Gay & Lesbian Mardi Gras". Lonely Planet. 9 December 2010. Retrieved 5 November 2011. ^ a b "1301.0 - Year Book Australia, 2005". Abs.gov.au. Retrieved 2010-07-09. ^ "Eye in the sky to keep watch over schoolies". Brisbane Times. Fairfax Media. 19 November 2011. Retrieved 20 November 2011. ^ "Australia's Icons". australia.com. Retrieved 30 June 2014. Wikivoyage has a travel guide for Australia. This page was last edited on 10 March 2019, at 03:26 (UTC).